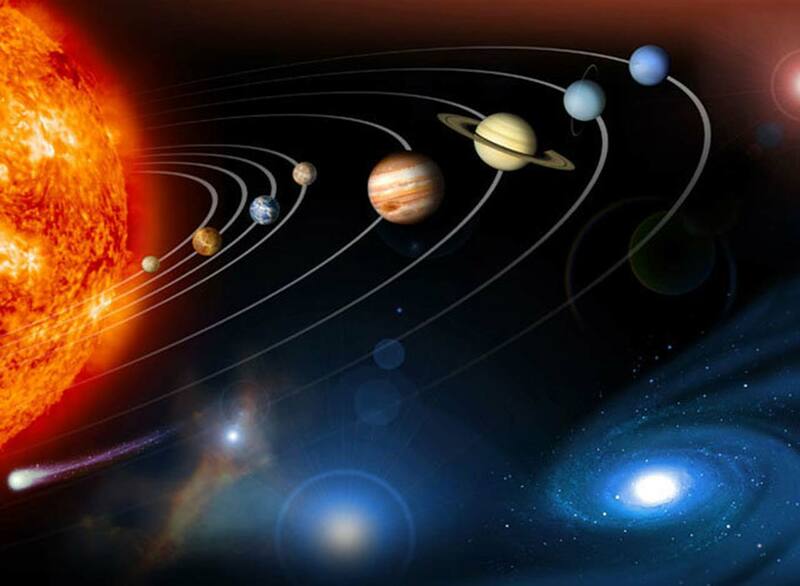 Astronomy Quiz Questions Answers – What is Astronomy? 1) What is the speed per minute at which earth revolves around the sun? Answer: More than 1600 km. 2) At what interval does the sun shine vertically on the Equator? 3) Which gas is most predominant in the sun? 4) How many does the moon take to return to the same position among the constellation? 5) Which planet has the largest number of satellite? 7) Which planets can be seen by the naked eye of a normal human being? Answer: Mars, Mercury, Venus, Jupiter and Saturn. 8) On which planet of the solar system does the sun rise in the west and set in the east? 9) Which is the element found on the surface of the moon? 10) Which is the biggest star in our galaxy? 11) Which is the nearest star to the earth excluding e sun in our galaxy? 12) What is the stage named in the evolution of stars when they possess super gravity? 13) Who invented the telescope which was the main tool in the study in Astronomy? 14) About the earth one astronomer said “nevertheless it moves”, who was that astronomer? 15) How many days the Mercury needs to complete one revolution around the sun? 16) How many years the Jupiter takes to complete one revolution around the sun? 17) How many years the Saturn takes to complete one revolution around the sun? 18) What are the small planets revolving around the sun in between Mars and Jupiter? 19) Which Celestial body has the most concentric orbit? 20) What is the name of the orbit of comets around the sun? 21) Which astronomer was the first to say that the earth orbited the sun? 22) Which is the hottest planet in the Solar System? 23) How many satellites are there for Mars? 24) Which are the two satellites of Mars? 25) Which is the largest satellite in our solar system? 26) Ganymede belongs to which planet? 27) Which is the biggest satellite of Saturn? 28) When was Uranus discovered? 29) Which is the slowest planet in our solar system? 30) What is the name of a diffuse cloud of particles and gases visible either as a hazy patch of light or an irregular dark region? 31) What is the name of the hypothesis which says that the Solar System evolved from nebular matter? 32) The galaxy in which we live is called ‘The Milky Way’. Which is the nearest galaxy to our milky way? 33) At what distance the Andromeda Galaxy is seen? Answer: About 2000000 light years away. 34) What is the name given to that branch of science which deals with the scientific study of the moon, its nature, origin, movements etc.? 35) Who was the first astronomer to prepare a catalogue of stars according to their differences in Brightness? 36) What is an Astronomical unit (a.u.)? 37) What is remarkable about the direction of a comet’s tail? Answer: It always points away from the sun. 38) What is the unit of time based on the orbit of the Earth around the sun? 39) What forms most of the moon’s topological features? 40) What can be described as ‘partial’, ‘total’, ‘lunar’ and ‘solar’? 41) What is thought to be at the centre of a quasar, from which nothing can escape – not even light? 42) The sun itself is a medium-sized star. In terms of the diameter of the earth, how big it is? Answer: 109 times that of the earth. 43) What is the popular name for the constellation also known as “The Big Dipper”. “The Great Bear” and “Ursa Major”? Answer: The Big Bang theory. 45) Among the ancient Greek philosophers, who was the first to state that the Earth and the Moon are spherical in shape? 48) Who is known as the founder of “Geo Centric Theory”? 49) What is “Geo Centric Theory”? Answer: It means that the Earth is the Centre of the universe. 50) Who is the author of the famous astronomical book “Almagest”?